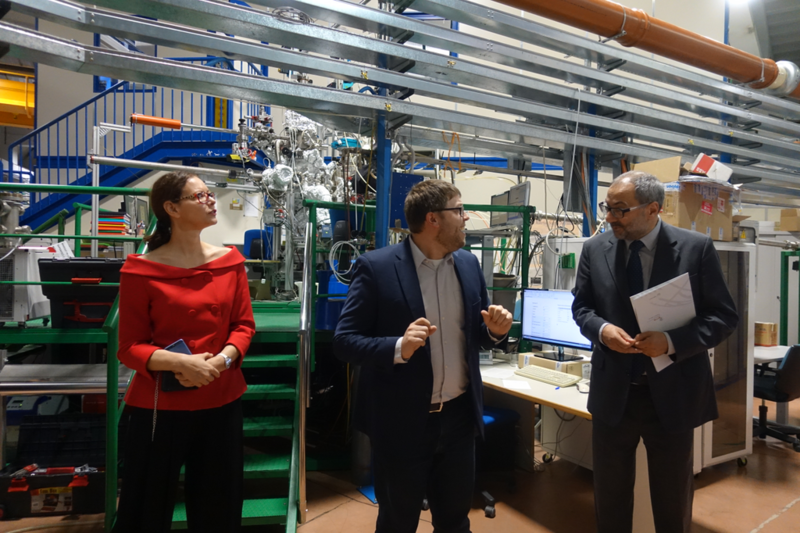 (October 26 2018, Basovizza, Italy) On October 26 2018, CERIC director Jana Kolar welcomed the Director of the Slovenian Research Agency (ARRS), József Györkös, at the CERIC premises in Basovizza, Italy. Since its establishment in 2014, Slovenia was among the countries in the Consortium providing access to the NMR infrastructure at the Chemical Institute in Ljubljana. Therefore, Prof. Györkös was very well informed about the open access services offered by CERIC, which are supported by ARRS. The main focus of the discussion was rather on the possible ways of leveraging existing funding sources and creating synergies among them, as it already happens with the joint use of ordinary and structural funds. In addition, the value of CERIC for the Slovenian research community was discussed. Besides Croatia and Czech Republic, Slovenia is the CERIC member country with most proposals submitted per researcher in a country. It is also a beneficiary of the CERIC’s internal research project Dyna Chiro, funded by CERIC through the Italian Ministry of Education, University and Research – MIUR, and in which Slovenia is involved through the participation of the University of Nova Gorica.